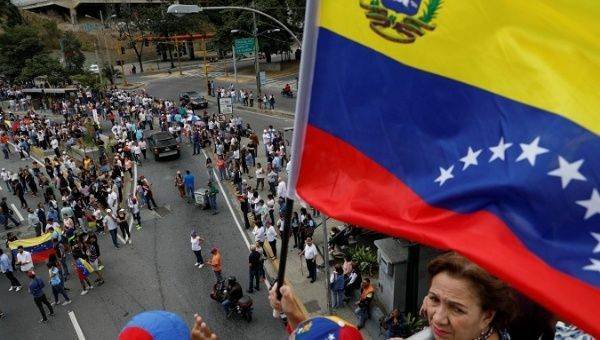 The coup attempt the previous week, involving a small contingent of the military, had been contained to two or three neighbourhoods of Caracas with less than forty fatalities. The coordinated anti-government rallies, mainly in the usual white upper middle class areas, had seen some very unpleasant violence. In one case a disabled Chavista supporter, German Cohen, had been shot and then doused in petrol and burnt to death. But everywhere the pro-government rallies and demonstrations were bigger. First, it was quite untrue that the ‘international community’ supported Juan Guaido. Only 20 countries out of 200 had fallen in behind Trump. The UN Security Council had refused to do so. So even had the Organisation of American States. The Lima Group, dominated by generally pro-US governments, had issued a statement opposing military intervention. No country in Africa or Asia – with the exception of Israel – had recognised Guaido. The US-allied Australian government has recognised Gaido. New Zealand has not. It is indeed shameful that Britain has backed Trump and that some, but not all, of the countries in the EU had also done so. Greece and Italy have refused. The ‘young, fresh-faced’ Juan Guaido is in fact a politician of the right, a US-educated representative of the Popular Will Party, a party in the past associated with street violence. Immediately before the attempted coup, according to Associated Press, Guaido had secretly visited Washington, Colombia and Brazil. The EU has claimed that last year’s Venezuelan presidential elections were somehow illegitimate. In fact the turn-out was higher than that in the last three EU elections. Maduro won 68 per cent of it against two right-wing candidates. Sixteen right-wing parties participated. The boycott was by the ultra-right. There is also great danger that there will be external military intervention. The US has bases all along the Colombian border, an extreme right president holds power in Brazil – and Britain has announced plans to establish a military base across the eastern border in Guyana. In Britain particularly, the foremost international supporter of the policies of President Trump, it is essential that solidarity action be stepped and that the lies peddled by the right-wing and ‘liberal’ media are countered.